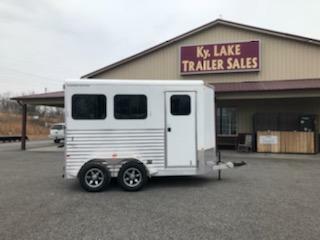 Just in on the lot. 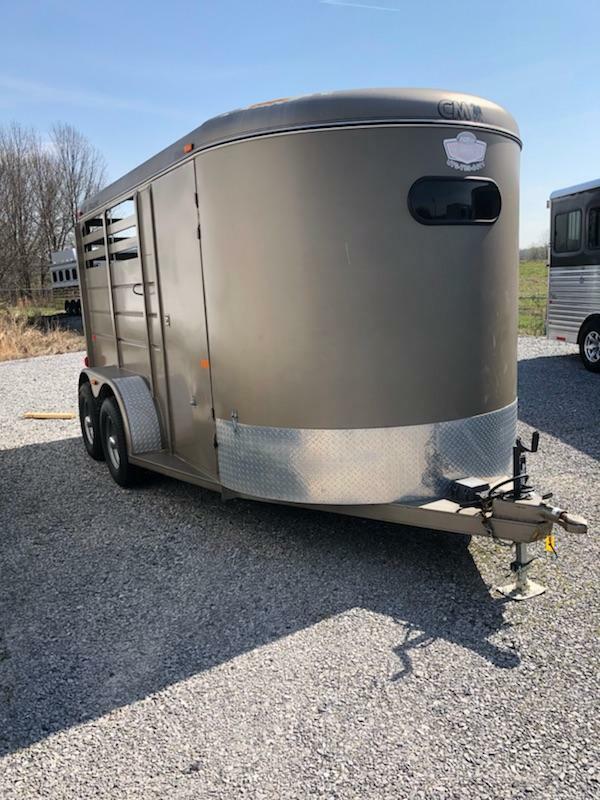 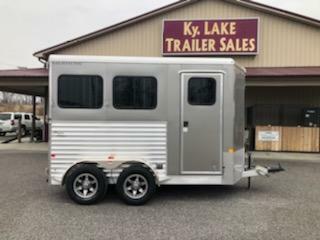 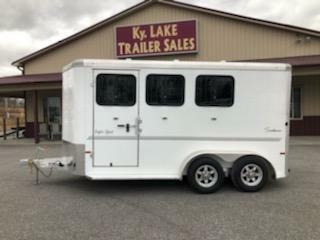 This 2019 Sundowner 2H BP trailer is champagne in color with load light, 50/50 rear doors, gravel guard, dressing room in the front with a 2 saddle rack, spare tire mount, and bridle hooks. 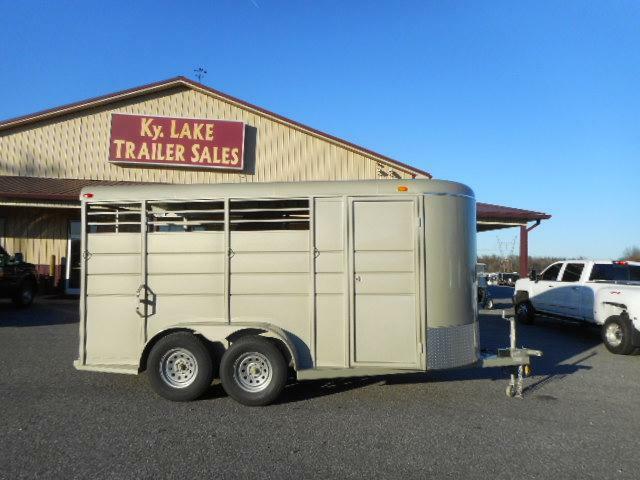 Super nice trailer priced to sell at $14,795.00. 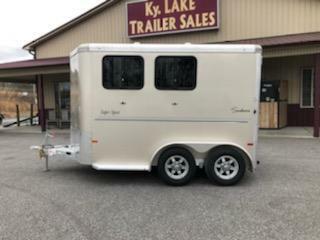 This 2019 Calico 16' 3H Bp trailer is pueblo gold in color with medium suede stripes. 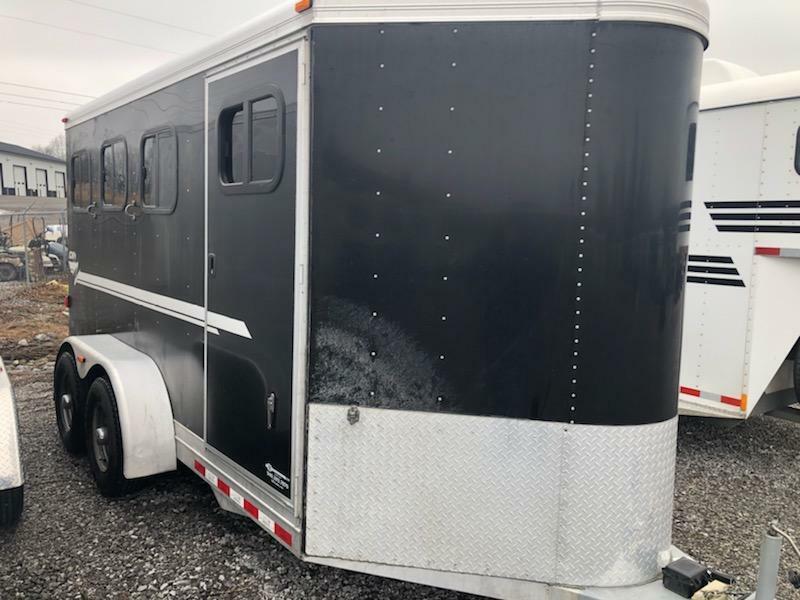 It has mats on the floor, escape door and 3 saddle rack in the dressing room in the front. 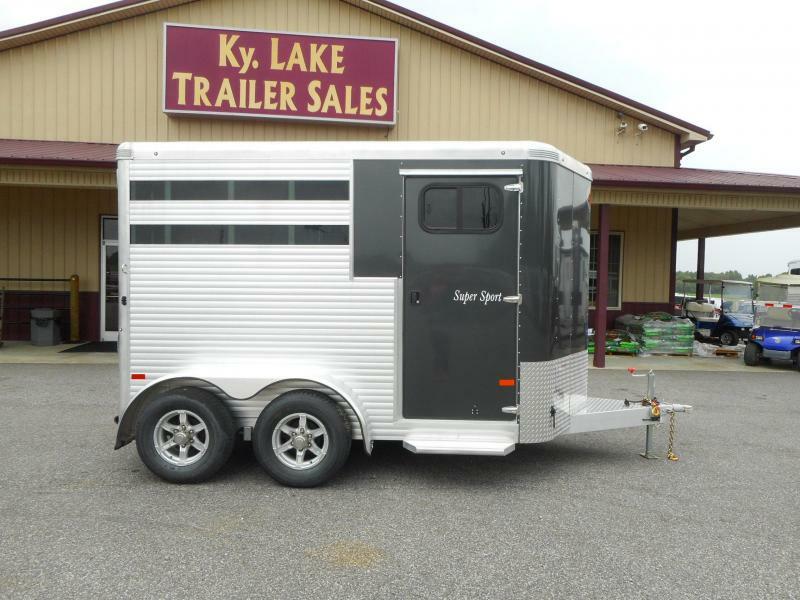 This 2019 Sundowner 2H BP Super Sport trailer is charcoal in color and has double rear doors,gravel guard, and load light.